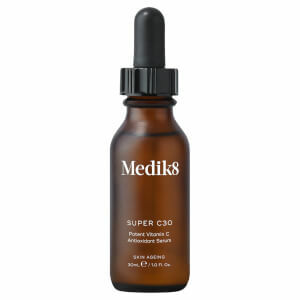 Target visible signs of ageing with Medik8 C-Tetra Serum; a lightweight, quick-absorbing formula that provides powerful antioxidant protection with minimal irritation and an uplifting natural citrus aroma. Fortified with stable Vitamin C and Vitamin E, the highly potent treatment penetrates deeply into skin to minimise the appearance of fine lines and wrinkles, whilst shielding skin from the damaging effects of pollution and environmental aggressors. 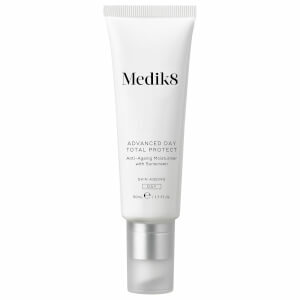 Your complexion is left radiant and youthful with improved suppleness and elasticity. Features a pipette applicator for controlled, mess-free use. After cleansing in the morning, massage 4 drops across the face, neck and décolletage. Leave to absorb before applying moisturiser. Save 15% off a selection of top brands - use code: LFAUS. Exclusions apply. My skin is generally quite dry and rough. However this product is very hydrating and I have noticed a difference in the texture of my skin improving since using this product. I wish I had found this product years ago. 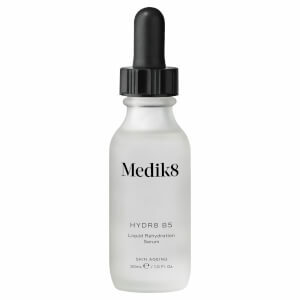 Best serum I’ve ever used! Such a great product for all types of skin. A must have and it lasts for ages. It’s a great product for someone who has pretty normal skin and do keep it looking great!